Providing you the best range of metal hacksaw machines, manual metal hacksaw machine, 8" hydraulic hacksaw machine, gear type hacksaw machine, power metal hacksaw machine and hacksaw with effective & timely delivery. 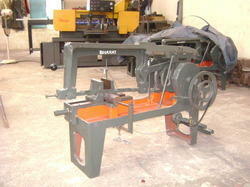 We are manufacturer, exporter and supplier of Metal Hacksaw Machines. our clients can avail from us superior range of Manual Metal Hacksaw machine that is known for their effective performance and facilitate different cutting. our ranges of products are widely used in the automotive and engineering industries which are used for the precision cutting of plastics, steel, and various other allied products. we offer these with premium quality components that ensure safe operations and longer service life. 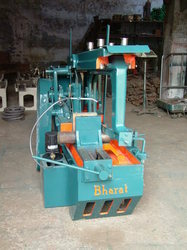 they are appreciated for their durability, long service life and available at competitive rates. Power Consumption (Watt) 1.5 H.P. · Electric Motor : 1.5 H.P. 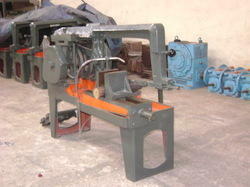 Backed by state-of-the-art manufacturing facilities and competent professionals, we are involved in manufacture and supply of a qualitative assortment of Power Metal Hacksaw Machine. Manufactured in accordance to the industry set standards, these precisely engineered hacksaw machines are dimensionally accurate, durable and consumes minimum power. 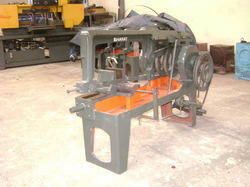 Size 8" 10" 12" 16"
Electric motor 1.5 H.P. 1.5 H.P. 2 H.P. 3 H.P. Capacity of round bar 8" 10" 12" 16"
Capacity of square bar 6" 8" 10" 14"
Length & Breath 41" x 14" 41" x 14" 45" x 14" 51" x 15"
We are manufacturer, exporter and supplier of Hydraulic Metal Hacksaw Machine. 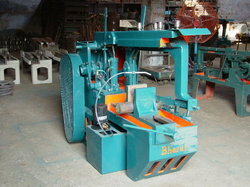 Vishwacon Engineers Private Limited is the manufacturer and exporter of Power Metal Saws Machine. 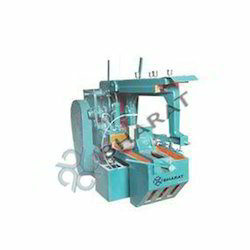 We provide unmatched range of Fully Hydraulic Hack Saw Machine that is well known to consume less power and also ensure continuous cutting by the means of a circular endless blade.